MUMBAI -- Hyundai Motor Co., poised to earn the most profit among Asian carmakers this year, will step up its campaign to weaken Suzuki Motor Corp.'s loosening grip on India's automobile market with a new hatchback. The Korean company begins sales of the Eon on Thursday after its unveiling at a press conference in New Delhi. Hyundai has said it will cost less than its cheapest model, the 280,897 rupee ($5,700) Santro. Maruti Suzuki India Ltd.'s Alto compact, the nation's best-selling car, starts from 235,413 rupees in New Delhi. Hyundai, led by chairman Chung Mong-Koo, has gained market share worldwide from Toyota Motor Corp. and Honda Motor Co. as Japanese carmakers reel from a strong yen and disruptions stemming from the record earthquake that devastated the country in March. The move raises the pressure on Maruti Suzuki, which has seen its share of Asia's third-largest car market drop amid mounting competition and a labor strike that's disrupted output. "The Eon is going to be the biggest headache for Maruti," said Deepesh Rathore, the New Delhi-based India head of IHS Automotive. "It is unfortunate timing for Maruti as they're struggling with the labor issue. The Eon is going to add to those problems." Compacts and mini-cars accounted for more than 75 percent of total passenger-car sales in the nation in the year ended March 31, according to data released by the Society of Indian Automobile Manufacturers. Maruti had 43 percent of the total Indian passenger-car market in the six months ended September, compared with 20 percent for Hyundai, the data show. "I will refrain from commenting on the Eon until we see the car," Mayank Pareek, head of sales at Maruti Suzuki, said in a telephone interview. "We've always been saying that India will be a small car market. Now everybody is getting into small cars." The industry group lowered its growth forecast to as low as 2 percent for the year ending March 31. In July, the group said it expected sales to rise 10 percent to 12 percent. Deliveries are forecast to grow at the slowest pace in three years after the Reserve Bank of India raised interest rates 12 times since mid-March 2010 to rein in inflation, driving down demand for cars in a country where about 80 percent of purchases are funded by loans. Hyundai plans to open 1,000 rural outlets and introduce two new models a year to boost its market share and tap growth beyond cities in India, Arvind Saxena, Hyundai's India director for sales and marketing, said in May. He declined to comment ahead of the press conference on Thursday. The Korean automaker's India passenger-car sales rose 5 percent to 180,616 in the first six months of the fiscal year, bucking a 1.4 percent industrywide sales decline, according to data from the industry group. The Indian unit of Suzuki Motor Corp. stopped production at its factory in Manesar, near New Delhi, on Oct. 7, the third time since June, when the workers went on strike for 11 days to demand recognition of an employees' union and better working conditions. The disruptions have taken a toll on deliveries, which fell 12 percent to 390,878 cars in the April to September period, according to the industry group. Maruti's stock has declined 24 percent this year in Mumbai trading, compared with the 17 percent drop in the benchmark Sensitive Index. 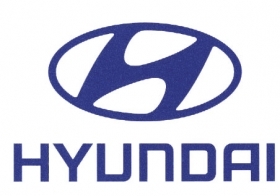 Hyundai's stock has risen 20 percent. The introduction of the Eon "will increase the competition in the segment," said Yaresh Kothari, an analyst with Angel Broking Ltd. in Mumbai. "Hyundai still doesn't have the kind of reach Maruti has, but it will be tough for Maruti."